I first became aware that commercially prepared deodorants and antiperspirants could be bad for us was when I was a teenager. (Way back in the dark ages, as my teenagers like to say.) My mother worked for a chiropractor who sold supplements and healthy alternative beauty products. I will never forget the day my mother brought home a big deodorant crystal from work. She wet the crystal and rubbed it under her armpits. I thought this was strange and vowed to never rub a rock under my pits. 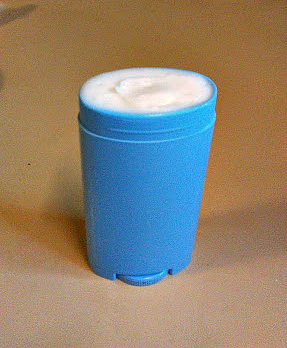 Fast forward many years later and I am the crazy mom, making deodorant in the kitchen. 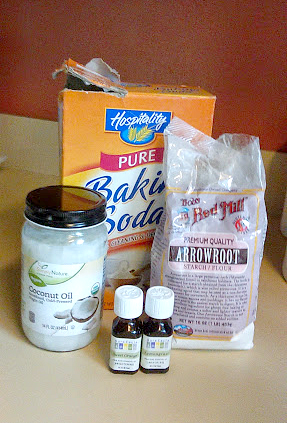 1) Blend together baking soda and arrowroot starch. 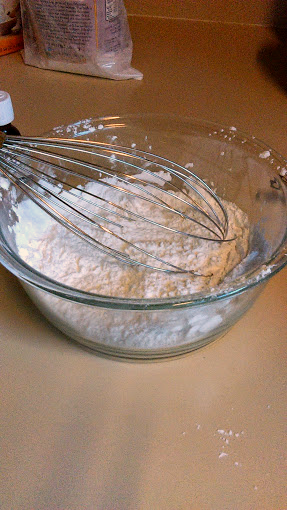 2) Add melted or softened coconut oil to powdered mixture. 3) Add 10 to 20 drops of essential oil. 4) Stir mixture together until very well blended. 5) Put mixture in empty container(s). 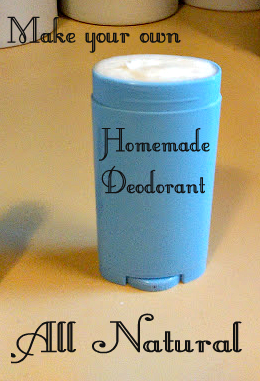 Recipe makes enough for 2 deodorant applicators. 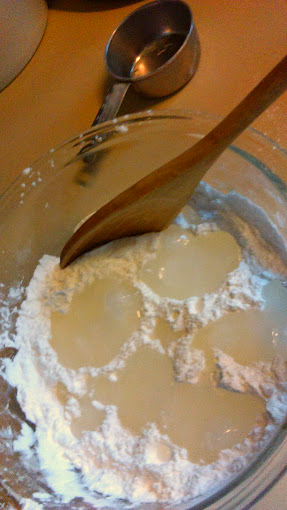 6) Let sit undisturbed until mixture is semi-firm. 7) Apply after shower or when needed. 8) Use caution when applying to freshly shaved skin. May cause irritation. One suggestion I read on crunchybetty.com is to apply a mixture of vinegar and water prior to applying deodorant in order to balance the pH. Reportedly, a small number of people experience irritation from the baking soda in the mixture and the vinegar balances it out. No, this does not need refrigeration. The deodorant can be kept at room temperature, however coconut oil will soften at around 70 degrees so you may want to refrigerate during the summer. 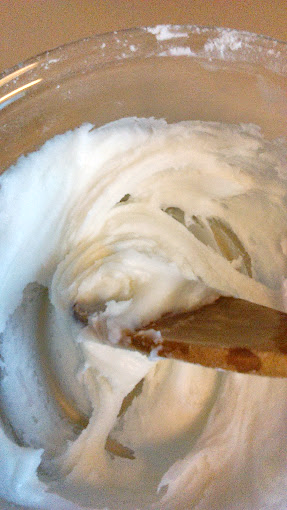 Refined coconut oil stays firm at a higher temp than unrefined. I use it for the hotter months.